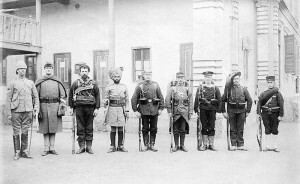 The Eight-Nation Alliance was formed in response to the Boxer Rebellion in China in 1899 and 1900. 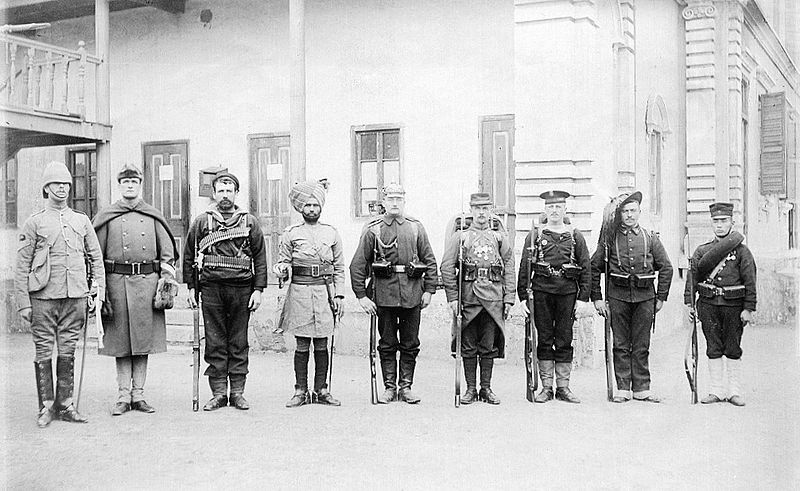 Alliance of 8 nations consisted of Austria-Hungary, France, Germany, Italy, Japan, Russia, the United Kingdom, and the United States. We like the details of the uniforms, particularly the Pith Helmet on the left.